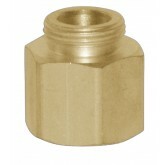 Pipe-away adapters are designed to be used with relief valve. 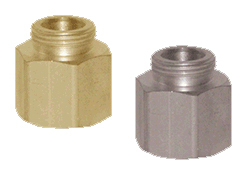 The pipe away adapters come with a standard thread connection to vent the gas to the outdoors.They come in standard sizes of 1/4” and ½” and are designed for LNG containers and thermal safety relief applications. Caution: Maintenance and inspection of the relief valve is very important to prevent accidents/hazards.